Hi friends! Let’s talk about beauty and skincare!!! Do you struggle with facial concerns such as fine lines, dark spots, signs of aging, etc? As a teen, I’ve paid close attention to my face; any little thing that seemed out of the way, had to go! I’ve tried both the store bought and the all-natural – much to the amazement of my older brother!! I don’t think my face was out of control – it probably was more of a ‘teenage self-conscious’ action more than anything else. Fast forward to becoming an adult and a mom with kids where every attention seems to be related to taking care of home and family. It seemed as though time to take care of ‘self’ a ‘thing’ of the past. I started making time for my needs and even posted a few ideas about taking time to develop self in these style and beauty posts. Today’s post definitely falls under the beauty category. Hey, a girl’s got to be beautiful right? Right! 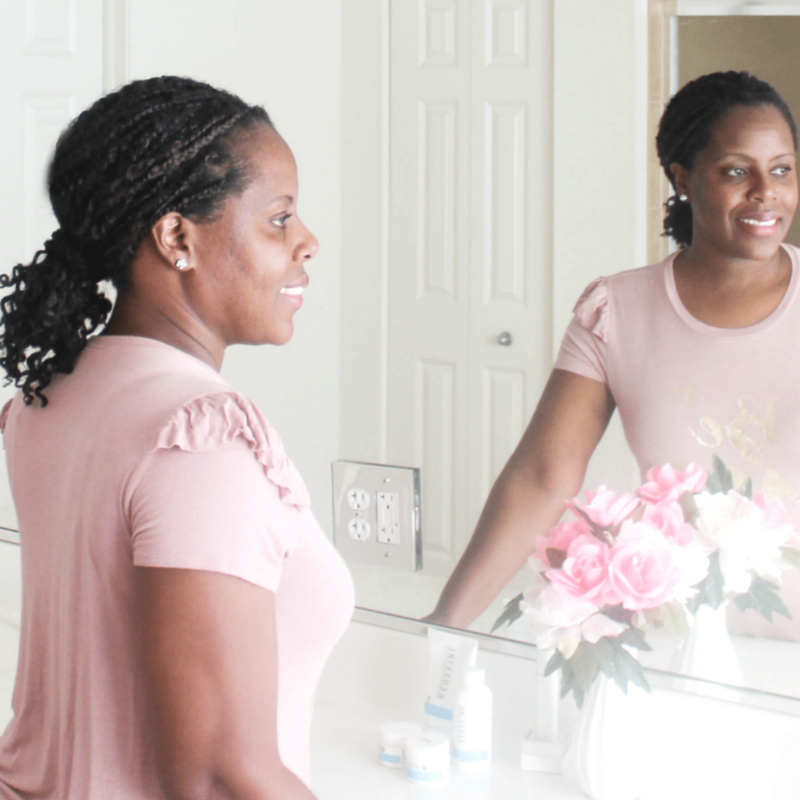 When I started noticing some darker spots (than my normal dark skin color) on my face, fine lines on my forehead and some pores, I wanted to find a good product to help reduce these unwanted appearances. 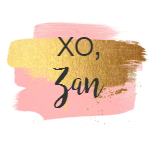 I had no desire for any product that was harsh and produced fast unrealistic results and products that made my face look blotchy. Honestly, I didn’t just want to pick up something from off the shelf in any store just because it had something to do with the name of facial care on it. I wanted to do my research and find the best! Just around the time that I was beginning my search, my husband’s co-worker’s wife, Kim, introduced me to a new product called Rodan +Fields. Have you heard of it? 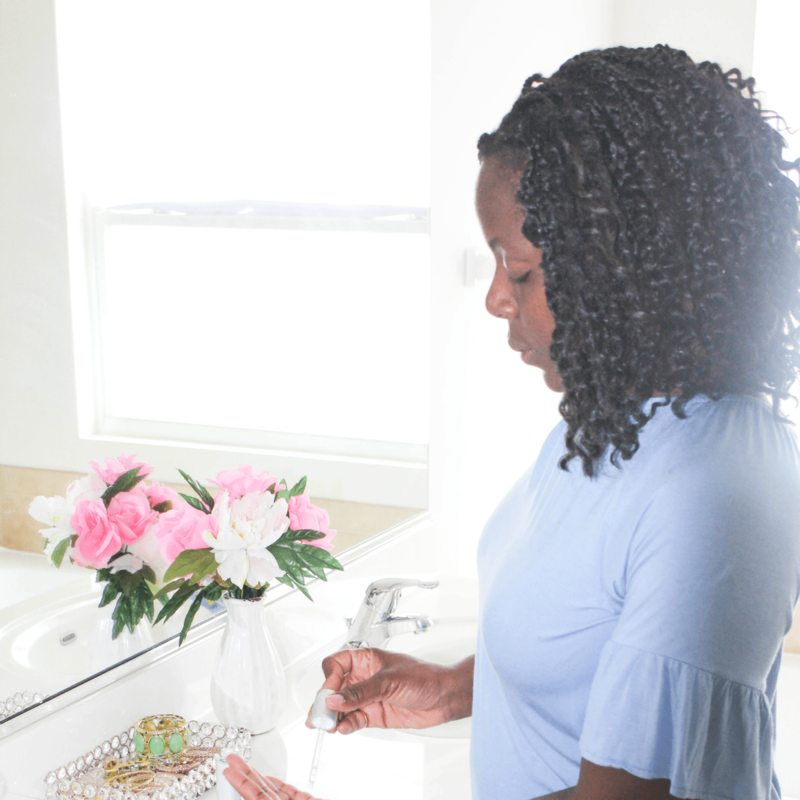 Kim is a pharmacist – my husband always talks about how smart both she and her husband are so you know, I trusted in her recommendation:) Thank you to Kim for letting me try it out. Rodan + Fields is the number one skin care line in the United States. 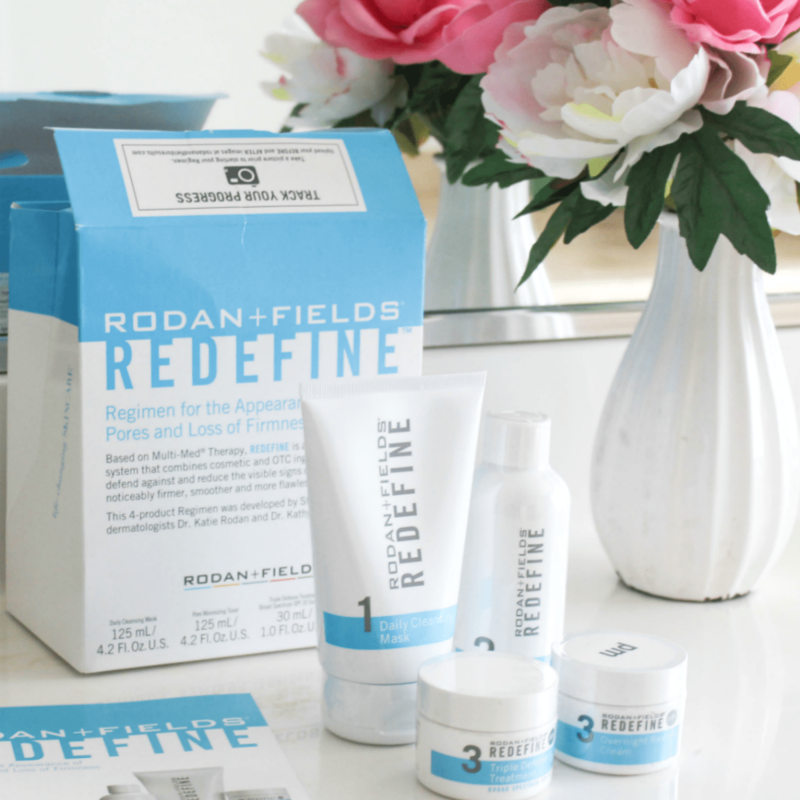 It was developed by two dermatologists, Dr. Katie Rodan and Dr. Kathy Fields, hence the term, Rodan + Fields. They’ve created their products as closest to dermatologist-inspired as possible so everyone can have great healthy looking skin tone. The philosophy behind the development is to help “approaching the whole face by addressing skincare concerns” therefore creating a product line that has the right ingredients, in the right formulations, applied in the right order. Each single product works in collaboration with the other for maximum results. At one point, my husband had mentioned to me that maybe I should visit a dermatologist for recommendations as to great skin products. I didn’t think it was necessary because I don’t get bad breakouts but I do have what I mentioned above. I haven’t gone to a dermatologist but now I have the convenience of dermatologists created skincare products right in my own home. How awesome is that?! 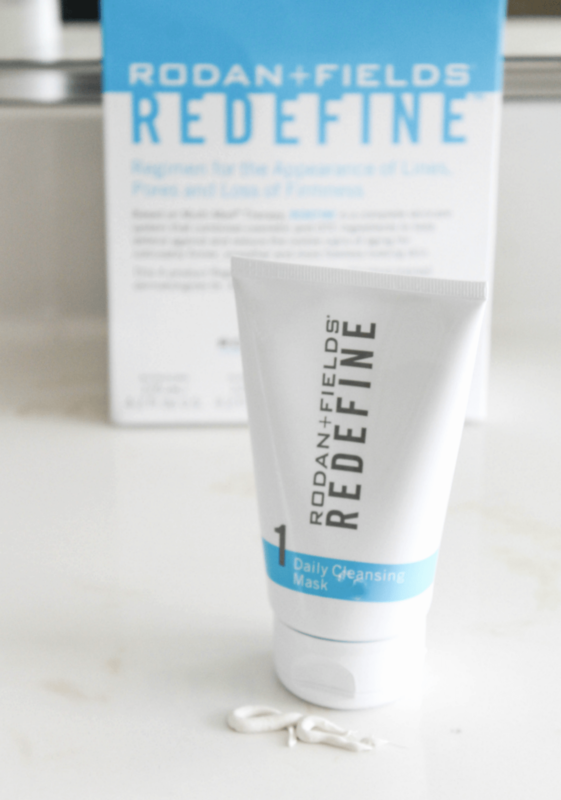 REDEFINE Daily Cleansing Mask: Cleansing Mask made from Kaolin Clay (soft white clay derived from decomposition of other clays). This mask gently smooths the skin and draws out impurities from the face without the loss of essential facial moisture. 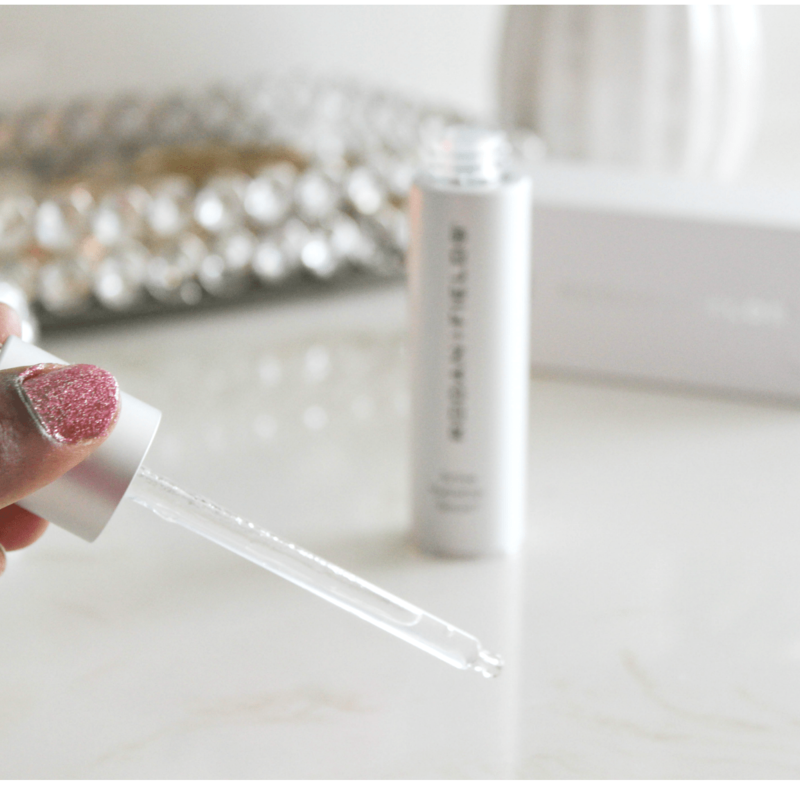 Redefined Pore Minimizing Toner: It’s a clear liquid that contains pore-clarifying ingredients that help to exfoliate the skin and minimize the appearance of large pores. It’s gentle and alcohol-free. 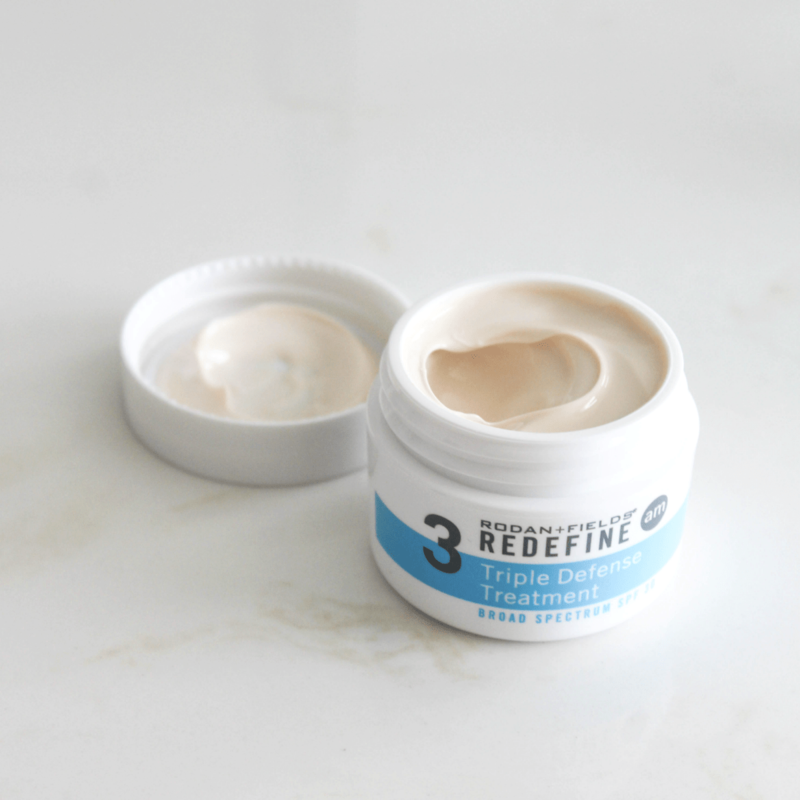 REDEFINE Triple Defense Treatment: A moisturizing treatment containing spectrum SPF 30 protection and other active ingredients to help reduce the appearance of lines and wrinkles. 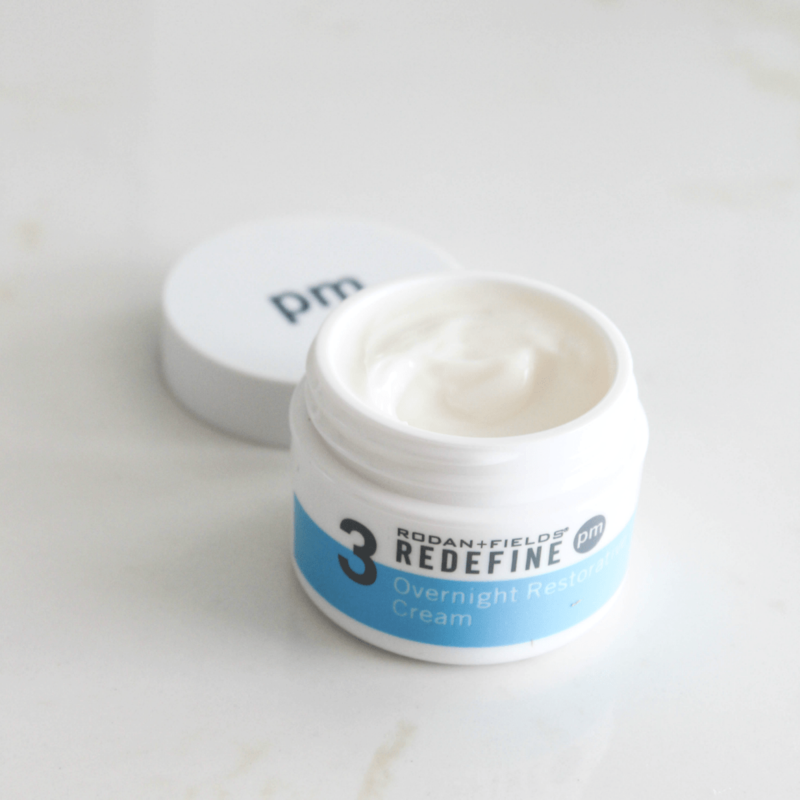 REDEFINE Overnight Restoration Cream: Ultra-hydrating cream that replenishes the skin even while sleeping and makes it look less-lined. It contains antioxidants A, C and E that helps replenish vital skin nutrients, reduces wrinkles, keeps the skin moisturized and makes the skin firmer. 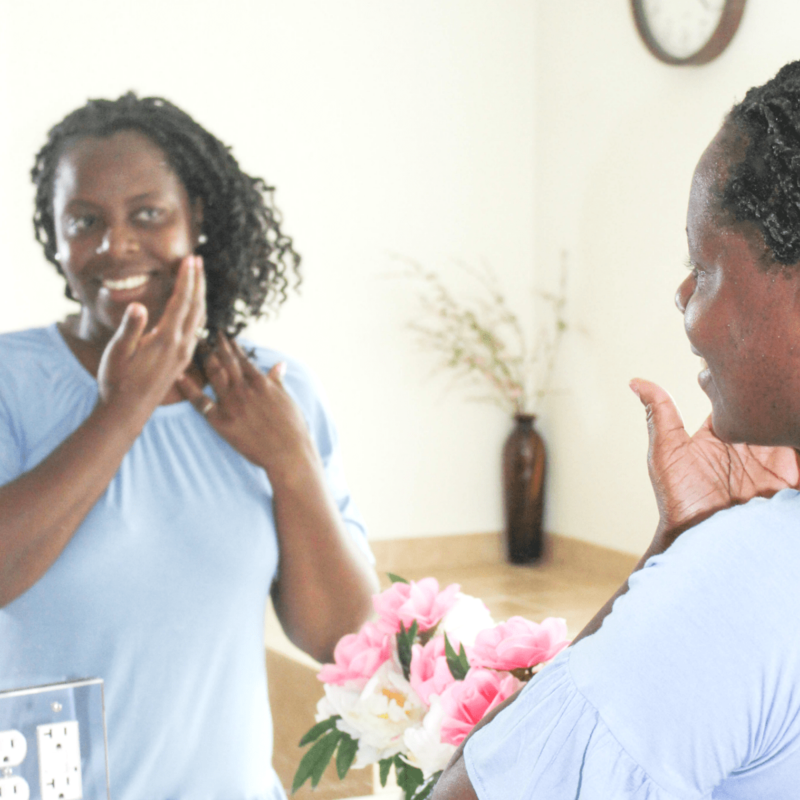 This regimen is applied twice daily, morning and evening. As you’ve seen above, there is an am cream and a pm cream. The mask and toner are applied both times but the am and pm creams alternate. I also have an Active Hydration Serum facial enhancement in addition to the Redefine Regimen. It fights dryness and raises the hydration of your skin by 200% after just one use and maintains it for up to 8 hours. Thus, making the skin look younger. This is actually the one I first started using then quickly realized I needed a whole system to address my above mentioned concerns. I do however, sometimes apply it along with the REDEFINE Regimen. See all these dark spots on the side of my face? As I mentioned above, the Regimen I have is mainly to address fine lines and pores but it’s also working on these dark spots, too. 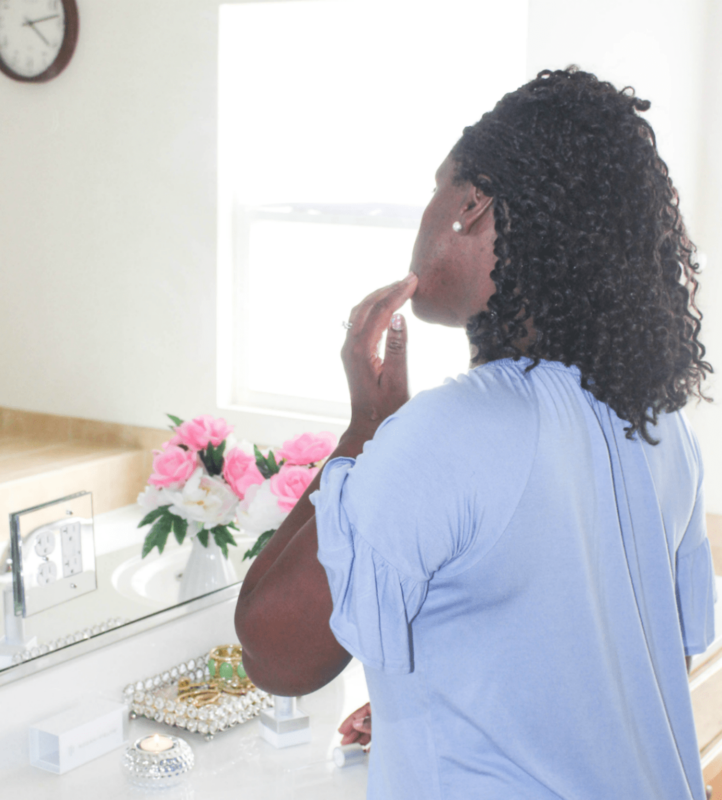 If you’re wondering why I didn’t choose the Regimen specifically for dark spots, it’s because that one treats some other problems which were not visible to me. I narrowed it down to the one I have now knowing it most-likely would address dark spots too based upon the description. Photo within a few days of use: After I started using it, my face broke out with pimples – more than I had. At this point, I was unsure of these products but then wondered if it was just clearing out the impurities (see side profile in this next photo). The dark spots were already there but the pimples were something new. In any event, I kept on applying the Regimen and the pimples started to go away. 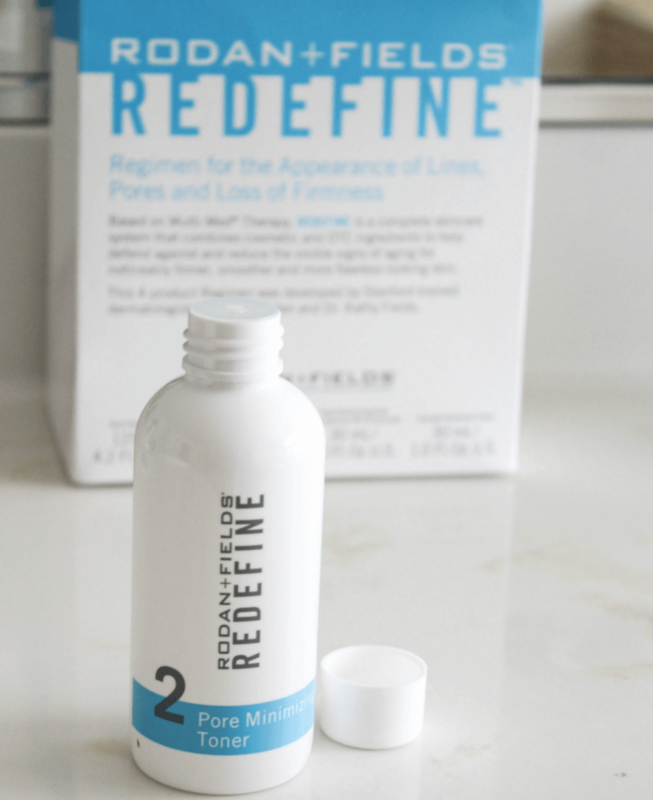 Here are the results from using the Redefine Regimen (progress photo below): I’ve been using it for just a little over a month so I don’t expect to see a drastic change yet, as these products take their time to work. But I’ve noticed my face clearing up some. The fine lines and pores have gotten less visible and even the dark spots are fading away. Overall, my face appears to be smoother and brighter. If you look at my forehead closely (right), you can still see the appearance of tiny lines but it’s not as visible as I thought it was before. I think with some consistency things will clear up further. I love how the products work together to produce the overall results and how smooth it feels on my face. It goes on well, has a very light feel to it, & does not have a strong smell. It’s funny – sometimes I just want to keep on applying them just to feel that smoothness. 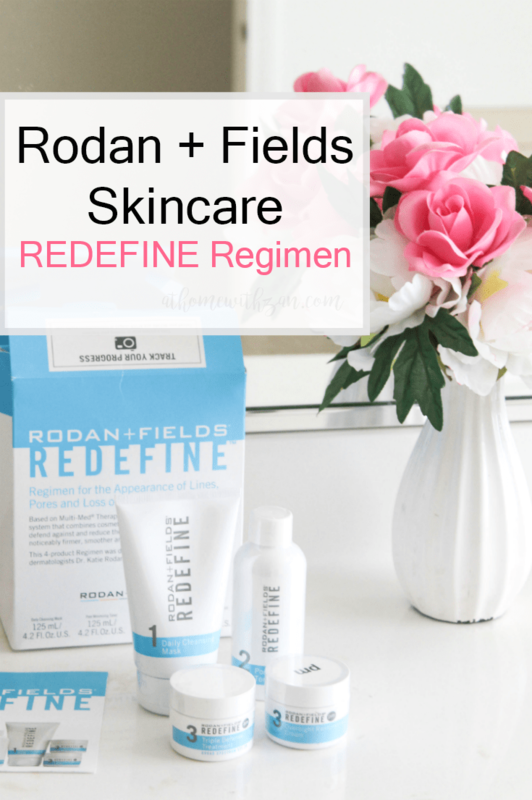 I hope this gave you some background about Rodan + Fields skincare product line. If you struggle with facial issues, you will want to check out the products here. 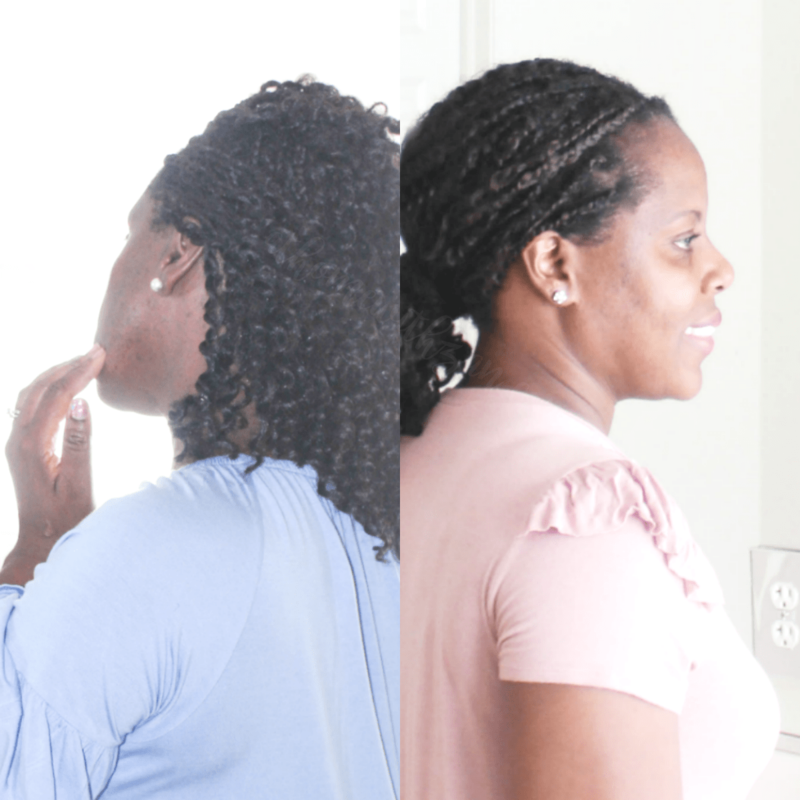 Take the solutions tool test by answering a few questions to let you know which Regimen will give you the best results. What’s even better? My friend Kim, is offering a free enrollment in their Preferred Customer program. This gives 10% off and free shipping on orders over $80. There’s some other goodies that she’s offering, too, so you’ll want to check it out. Sounds interesting? Go here to take the small test and use the contact info above to reach out directly to Kim to get a fee pharmacist consultation and to get you started. 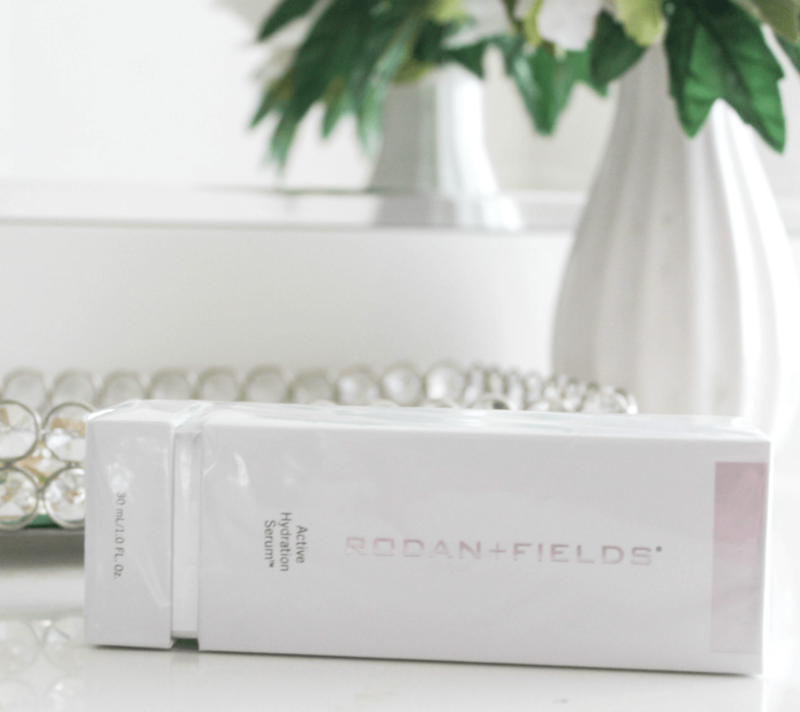 Have you ever heard of or used Rodan +Fields skincare before? What’s your experience? Would love for you to share them in the comments!! I’ve been looking for a good skin care product so I’ll have to try this out! I’ve heard of Rodan and Fields but I think it was for a lash serum. Your skin looks amazing! Thank you Liz!! You can find a whole system for your skin – not just for lashes. I hope you give it a try!! I have been looking to try some new products as my face has been broke out like crazy lately. This seems like a good routine! Face breakouts are no fun. You can give this a try to see how you like it and I hope things get cleared up. Thanks, Steph. I’ve heard such amazing things about this skin care line. I know a ton of people that use it, sell it and love it. Thena, that is great! It’s my first time using it and it really is not a harsh product at all. So glad your know people who love it! !